What a fun party filled weekend! 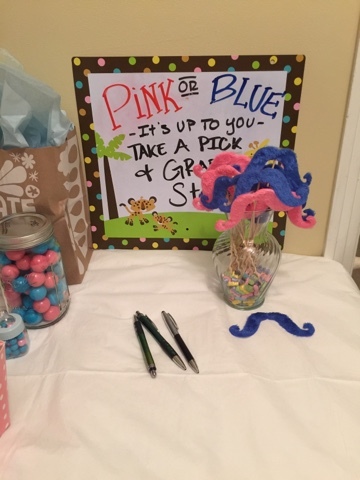 On Friday, I finally got to throw the gender reveal party for my friend and share the gender of her little one! She and I decorated the house to baby cutesy perfection and the party went off so well! 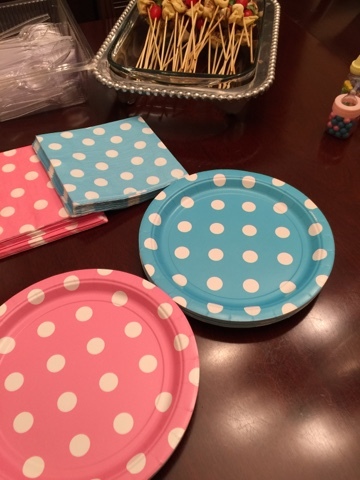 Obviously, everything was half blue and half pink and super adorable. When the guests walked in, they voted on if the baby was a boy or a girl. Then they grabbed a cute little mustache on a stick to take fun photos with! The pictures with these darling little props were just way too fun. Another fun little game we had was sharing ideas for baby names. 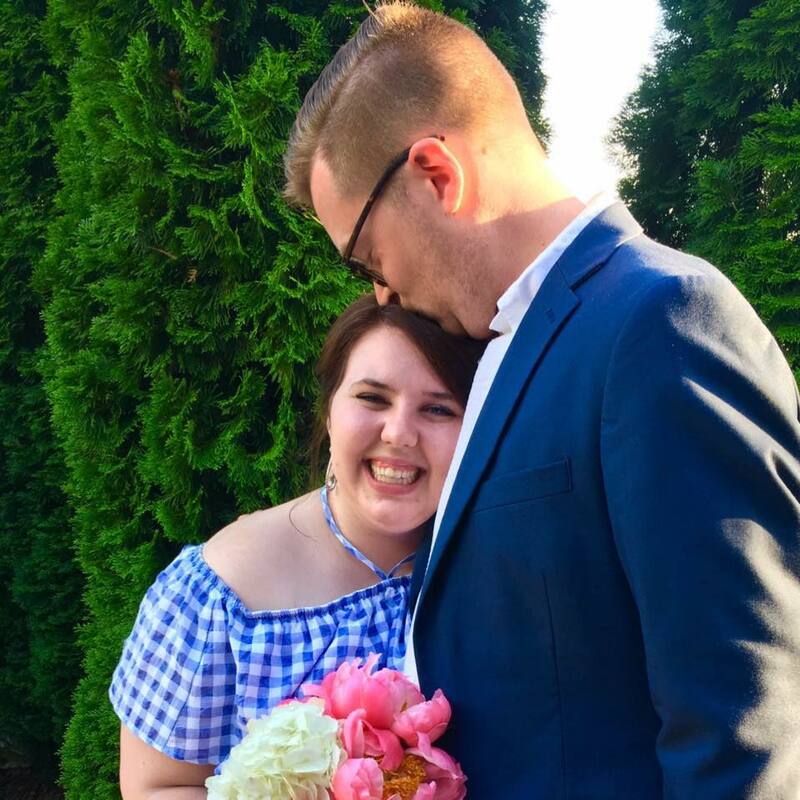 They already had a boy name picked out, but everyone gave lots of fun suggestions! 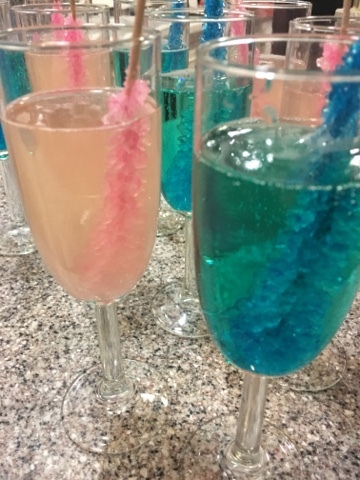 The most fun part of the event, in my opinion, was the blue and pink rock candy in the champagne flutes. Not only did it taste spectacular, but it looked amazing! Everyone was laughing so hard at everyone's votes and how split team Pink and Blue were! The chandelier above the food table was too die for. I strung the two strands of garland in the chandelier, with a little help from the much taller men. It was a perfect little pinnacle to the decorations. When it was time to reveal the gender, everyone went outside and I handed each person two sparklers. Everyone had a little tea light and started lighting the sparklers. Once they started really sparkling, blue was the color! It is a BOY!! Everyone was so excited and the parents-to-be were beyond thrilled to finally know what baby they were having! So thankful I don't have to keep that big secret anymore! All in all, the party was such a fun time! Everything went off beautifully and the food was delish. When the guests left, they could pick up a little party favor. No one ever leaves empty handed if I had a hand in the planning! 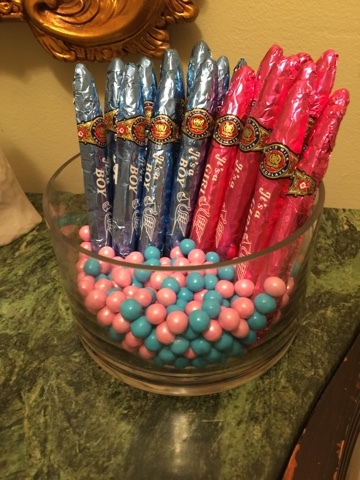 We gave guests little chocolate cigars and a mini bottle filled with little candies. I think this will be such a fun part of preparing for a baby. 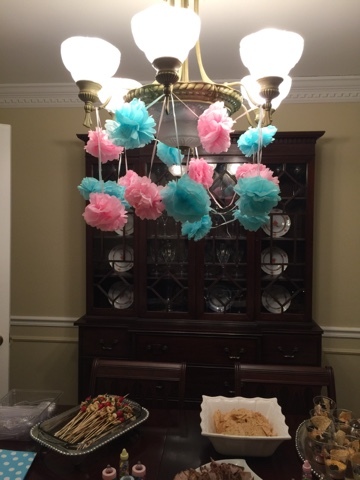 I don't want to know the gender until the reveal party. This is so fun!! Oh my gosh! What a fun party. 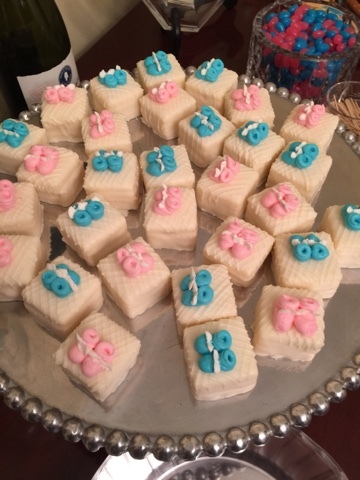 This will definitely be great inspiration if I ever need to throw a gender reveal party someday in the future for a friend. This is so cute!! I bet this party was a blast to plan too! Aww how special!! 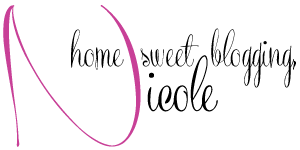 So excited to follow along as you share more memorable moments with your friend. How fun and special! I love this idea! This is so adorable! I love the petit fours with the booties on top! I'm glad it went so well for you! The rock candy in the champagne is such a great idea! It's those little details that make it so much better. Sooo cute! Loving the little booties! Completely love the sparkler idea for a gender reveal party. All the blue and pink is so so fun! Yay the party came out so well! Such a cute shower! So unique! Yay!! The party decor looks so cute and fun. This is the cutest! I love the rock candy in the drinks! Oh my goodness, this is so exciting and adorable! Looks like it was a great party! This is so cute! I love all the little details you put into the party. I don't know how you kept the gender a secret I'd be dying to tell! What a fun party! I love the idea of the rock candy inside the drinks! 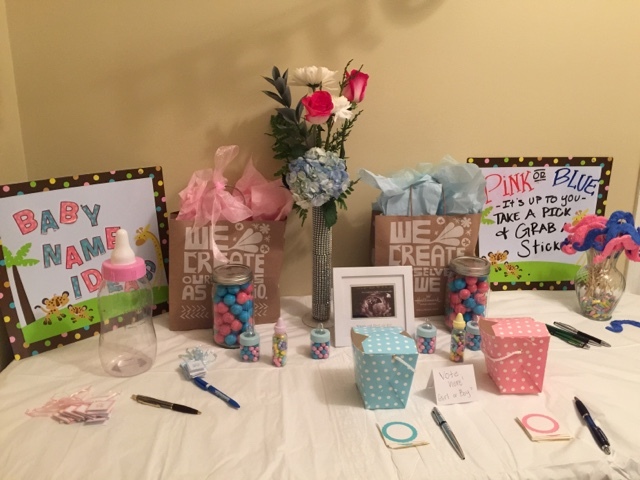 You threw such a perfect gender reveal party! I'd love to see any more future parties you throw! What an exciting time, I can't believe its not that far off for me! What cute decorating!! !